Dean Veall here. Whether it’s our late openings, comedy cabaret Animal Showoff, improvised opera, audio cinemas or film nights our events programme aims to entertain, inspire and surprise audiences. 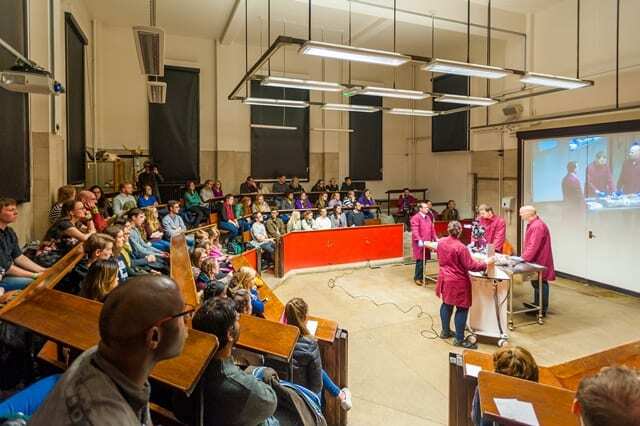 Last Wednesday we worked with researchers from UCL and the Royal Veterinary College (RVC) to present an event that gave audiences a unique insight into cutting edge research on the evolution of cat anatomy and movement. In Wild Cats Uncovered we took members of the public behind the scenes into the dissection room to discover more about one of the natural world’s fastest predators.